Healthcare organizations face many professional challenges from operating costs, privacy, technology, healthcare reform, shifts to value-based payment models, and employee turnover all while working towards their mission of delivering care. 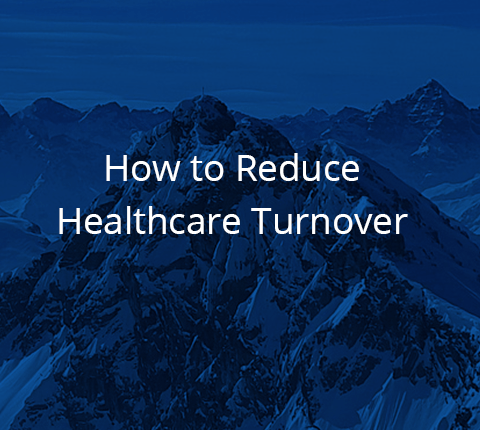 Turnover is one of the most challenging hurdles faced by healthcare organizations. A high turnover rate (anything over 12%) is extremely costly. It can reduce team morale, increase training and recruiting costs, and affect the quality of care and patient experience and satisfaction. As such, aiming to reduce a healthcare organization’s turnover rate to somewhere between 8-12% can have significant benefits. Today, we will discuss the causes of high turnover in healthcare as well as what can be done to reduce turnover in healthcare. As of 2015, 18% of 2.6 million new jobs in the United States were in the healthcare sector, a 30% increase over the previous year. Even though there is a significant increase of jobs in healthcare, turnover is often an issue for healthcare organizations resulting in staffing shortages, increased workload for current staff, increased staffing costs, low morale, increased absenteeism, loss of productivity, and organizational risk. Tackling the causes of high turnover head-on will have an immediate impact on the organization. There are various causes of high turnover in healthcare. First, the retirement of experienced team members is a big contributor to increased turnover rate (18.9% in 2015) throughout the country. Baby Boomers are retiring daily. Let us take a look at some hard data. 62% of Baby Boomer nurses (those who are 54 years or older) are thinking about retirement. It is believed that 80 million Baby Boomers will retire between 2015-2020. This will have an incredible impact on the workforce and particularly in the healthcare field. At the same time, healthcare organizations are faced with provider shortages. Currently, 40% of doctors are 55 years or older, and 33% of nurses are 50 or older. Yet, there is a shortage of qualified people to replace this skilled talent pool. It is estimated that by 2025, there will be a shortage of 1 million nurses and 124,000 physicians. These numbers are alarming. A compounding issue here is that oftentimes, shortages result in more shortages. For example, when there are vacancies, current staff will need to step in. As found in the Merritt Hawkins survey, 81% of physicians feel overtaxed and 39% accelerate retirement because of this type of change. As they do so, and others fill in, job satisfaction may wane, resulting in even more workplace shortages. There is also a subset of talent that leaves due to management quality. Departmental managers can be either too directive, too supportive, or lack the communication skills that allow them to clearly define what their team should expect from them in terms of management style. This results in a drop in team morale and more talent vacancies. Another set of talent that moves from their current post to another position, does so because they feel their skills do not match those of their position or of those positions they would like to achieve. In order to be prepared and counteract the mass retirement of Baby Boomers, it is incredibly important to have a recruitment strategy and succession plan in place. Focusing on mentoring, training and recruiting talent before the aging workforce retires will assuage the impact of the retiring healthcare population. Recruiting residents and fellows earlier in their career, putting loan repayment programs in place, and offering sign-on bonuses can all help to make healthcare organizations more attractive to new talent. Provide new staff with strong onboarding and a clear path to upward movement. Then, make sure they have the tools and training needed in order to reach this development path, including constant communication to remind these team members of the availability of said tools and assistance. Once these are in place, it is necessary to engage the team by providing exams to verify competencies, find areas of improvement, and ascertain that the training and tools provided are in fact effective. Managers need to reach a good balance between directive and supportive management. This includes clearly defining each job and its expectations, understanding the needs of his or her team, interacting, giving feedback, and reviewing performance. This can be done by setting up meetings with the team, leadership, C-suite executives and departments to build rapport and understand challenges from all aspects of the organization. Healthcare organizations should look to maximize workforce design and have the right supporting staff in place, including CRNAs, scribes, and even the right equipment to make tasks easier for high end, expensive talent who should be only working on high-value tasks. Finally, salary is an important factor. It is necessary to monitor market forces within the local and national healthcare market to make sure that salary offers, benefits and culture are all either at or exceeding competitive rates to attract the best talent possible. Building the right team at the start is the best way to reduce turnover and retain talent. It all starts with recruiting. The talent placed must have not just the right education and certifications. 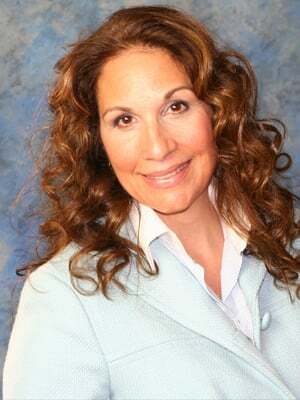 He or she must fit the culture of the healthcare organization. He or she must have the right character. Do they share the vision of the organization? Do they strive for excellence? Do they go above and beyond what they need to do? Are they open to learning and chance? Are they team players? These are some of the questions that the team at Summit Talent Group looks at when conducting a healthcare executive search. When we present a candidate for a vacancy, you can be assured that the talent we place not only has the right certifications and knowledge but that he or she will be the right fit for your organization. We will also work with you so that you can be sure that your offering is enticing enough to attract the talent. Finally, we provide the follow up to engage the talent once they are placed to be sure that the placement is developing properly. If you need to fill a healthcare executive vacancy, contact us so we can discuss your organization’s needs and tell you how our team of healthcare executive professionals can help you place the right talent and reduce turnover. We look forward to speaking with you.